And you are all thinking: Oh no, not another hummus recipe on a cooking blog!!!! I know, I know….. No I am not posting this hummus recipe by default. Never mind that I have loads of papers to grade and couldn’t think of anything else to make for lunch that was quick and nutritious. I am posting this recipe because this hummus is delicious and quickly made, has a light taste, it’s loaded with protein and makes a perfect sandwich, snack or part of a salad. 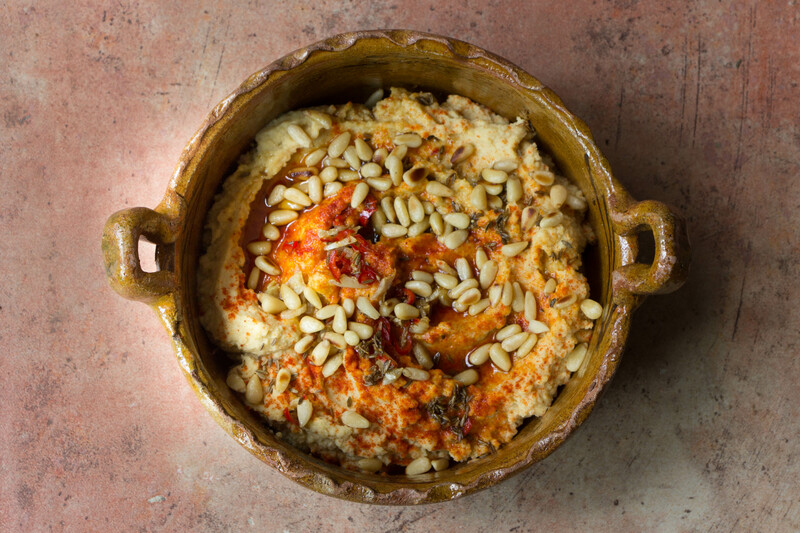 Although I really like tahini in general this humus is tahiniless, since I don’t like the heaviness that it creates in this otherwise fresh summery dish. Chickpeas are creamy enough on their own, specially combined with olive oil. -in a heavy frying pan heat the 2 tbs. olive oil and add the cumin, chili pepper and other piece of garlic chopped. This Post was posted in beans, snacks, Uncategorized and tagged beans, chickpeas, lunch, salad, sandwich, spread. Bookmark the permalink.